As an employer who’s committed to workplace diversity and equality we’re delighted to announce that we’ve recently signed up to the Government’s Disability Confident Scheme. The scheme helps companies make the most of the talents that disabled people can offer and is helping us make sure that we’re doing everything we can to attract and recruit talented disabled workers, and support and develop them in their careers at SSP. 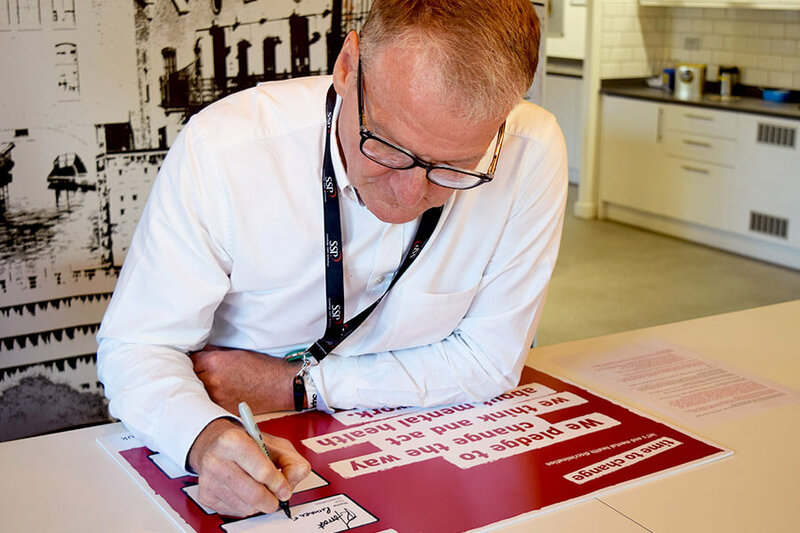 As a Disability Confident Committed Employer, we pledge to ensure that our recruitment processes are inclusive and accessible, and that we actively promote vacancies and offer interviews to disabled people. In addition, we commit to providing adjustments that support the individual needs of our colleagues, be they new joiners, or existing staff members who become disabled or develop a long-term health condition. We’ll continue to maintain and develop our inclusive Facilities and Health & Safety practices too; building Personal Emergency Evacuation Plans for those who might need help leaving one of our office buildings in the event of an emergency; ensuring doorways are wide enough for wheelchair users, and offering disabled parking bays. That’s why on Wednesday 10 October, we were proud to take part in World Mental Health Day, a global event to highlight that one aspect of our personal health that is often so easily overlooked – our mental health. This year, we have been working with the mental health charity Time to Change to take action and deliver our commitment to creating a safe and supportive workplace for anyone who may suffer from a mental illness, as well as building trust and confidence amongst our colleagues. 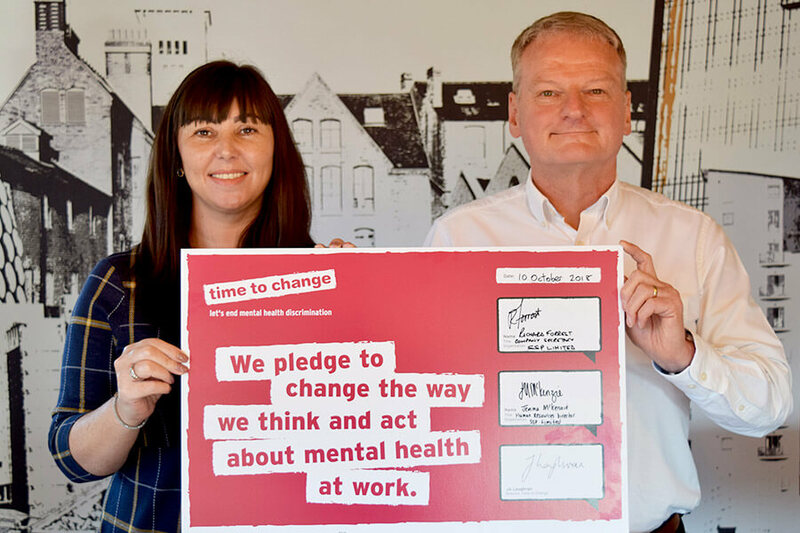 On this day, SSP also signed an employer pledge with Time to Change, the growing social movement run by charities Mind and Rethink Mental Illness which supports people to open up to mental health problems. By signing, SSP is committing to change the way we all think and act about mental health in the workplace. SSP joins the wide movement of over 450 organisations that have signed up to the Time to Change pledge, including E.ON, British Gas, Ernst & Young, Transport for London, Royal Mail, Barclays, Shell, Pepsico, the Church of England, Sunday Mirror, Marks and Spencer, and many NHS trusts, universities, and local authorities. During the day, Jeremy Harris, SSP’s Customer Service Specialist, volunteered to run two guided meditation workshops at SSP’s Solihull office, to provide colleagues with an introduction to the benefits of meditation and well-being. Colleagues also came forward with blogs explaining their personal mental health experiences. “By having a day dedicated to the topic, we were able to talk openly, raise awareness and show our support to help one another. We feel that the day was a successful platform to start conversations around mental health and not only just for today but for tomorrow and the future.” Jemma McKenzie, SSP’s HR Director. That’s not all – we also released our new, dedicated HR policy on mental health, and shared colleagues’ personal stories, experiences and thoughts to break the silence around mental health issues. 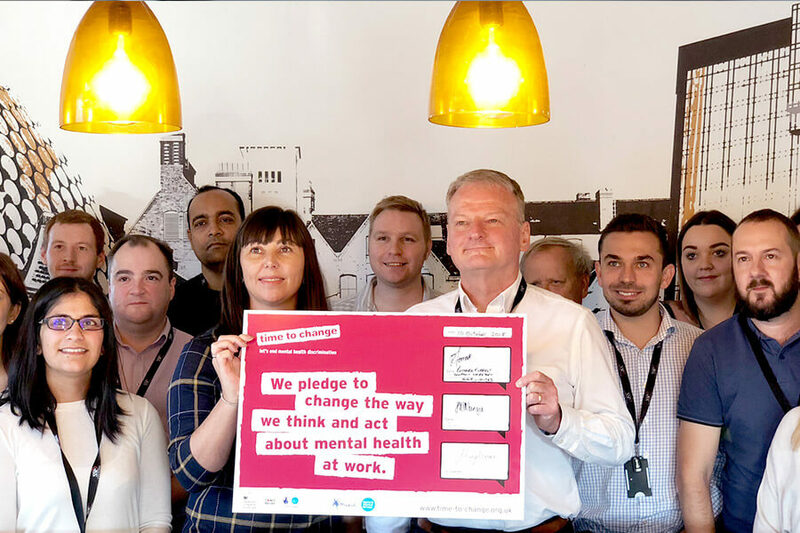 As part of our work with Time to Change, SSP will be joining a large community of businesses in officially signing the employer pledge – a commitment to end the stigma against mental health in the workplace and beyond. SSP has become a signatory of both the Inclusive Behaviours in Insurance Pledge and the Tech Talent Charter. These initiatives in the insurance industry and the technology market as a whole, have been borne out of the need to ensure we drive out poor behaviours, and value success and talent in all areas. Much progress has already been made within SSP on the journey toward true inclusivity, with highlights comprising of the creation of a diversity calendar, mentoring, learning & development, and recognising the importance of a family-friendly culture. Becoming a signatory of these initiatives will enable a greater level of understanding and equip SSP with the tools to continue building a positive workplace, empowered to make meaningful change. 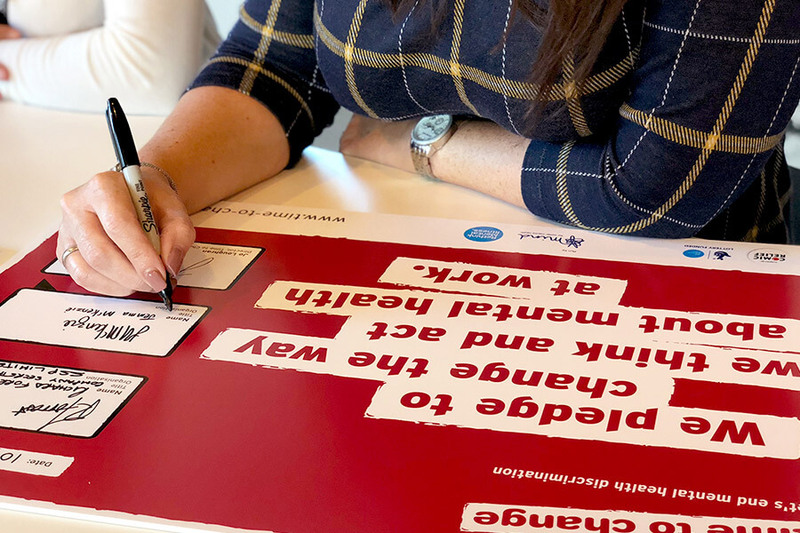 The Inclusive Behaviours in Insurance Pledge and Tech Talent Charter are run as industry collectives, ensuring continuity across the market, boosting the ability to tackle the looming digital skills gap. They also support the insurance industry in attracting – and retaining – the best and brightest.